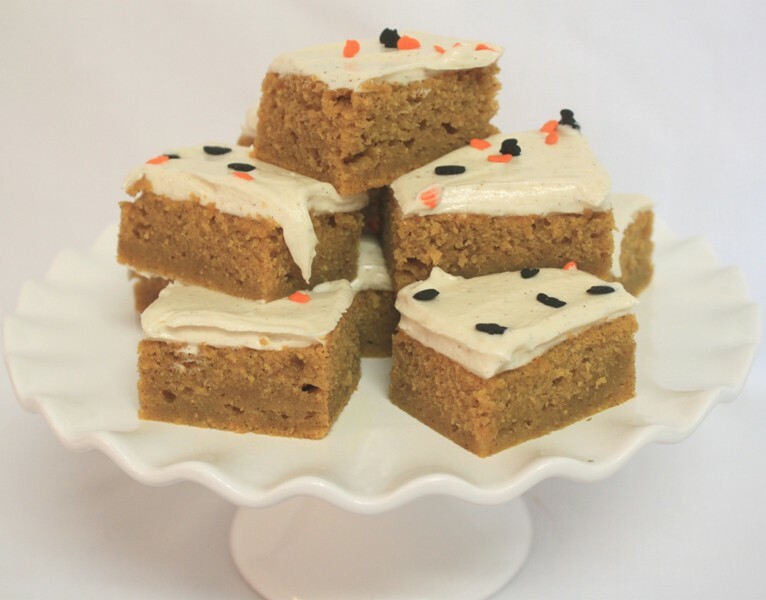 Harvest Pumpkin Brownies | Rosetta Bakes! Another great brownie recipe…and so easy to make! 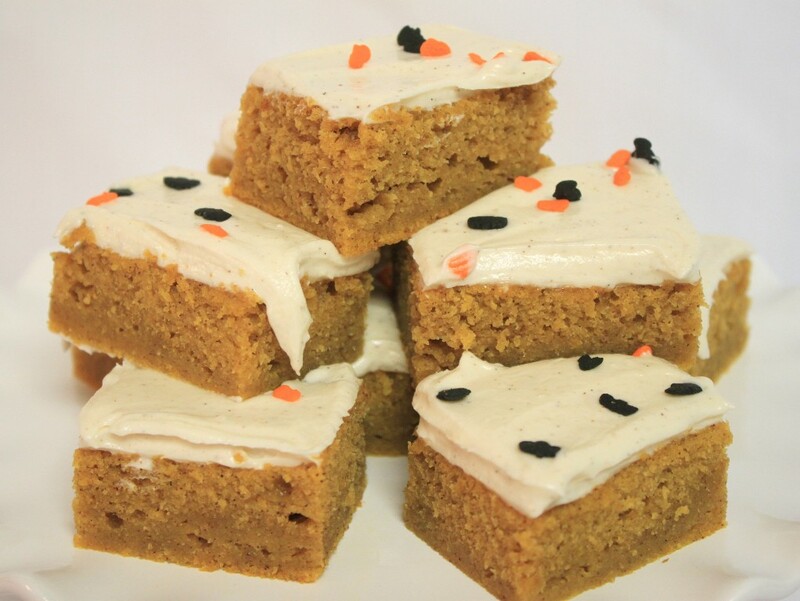 These brownies are so moist and they taste like pumpkin pie, but in a brownie form. So easy to make and you can bet they will be gone in a flash! Great brownies to take to any fall gathering. Great in place of pumpkin pie for Thanksgiving for those who are intimidated to make a pie. If your new to baking and want to take something to a gathering, this is an easy recipe to make! Hope you enjoy! 1. In large bowl, beat pumpkin, eggs, oil and vanilla until blended. 2. Combine dry ingredients; gradually stirring into pumpkin mixture. 3. Pour into greased 15×10 pan and bake at 350* for 20-25 minutes, or until toothpick comes out of center clean. 1. In a large bowl, beat the pumpkin, eggs, oil and vanilla until blended. Combine the dry ingredients; gradually stir into the pumpkin mixture. 2. Pour into a greased 15-inch x 10-inch x 1-inch baking pan. Bake at 350F for 20 to 25 minutes or until a toothpick inserted near the center comes out clean. Cool in pan on a wire rack. 3. In a small bowl, beat the butter, cream cheese, vanilla, milk and salt until smooth. Gradually add confectioner’s sugar until smooth. Frost brownies. Store in the refrigerator. Yield 5 to 6 dozen squares.